Rhonda Brock-Servais’s essay, “Can We Redeem the Monster? 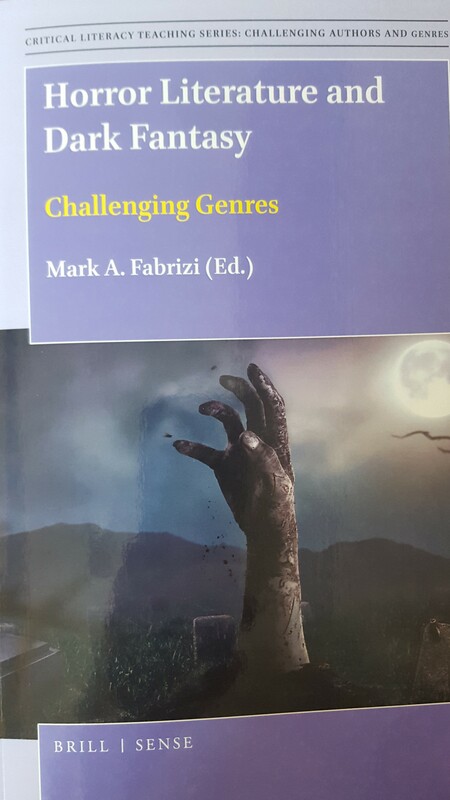 Working with Contemporary Young Adult Horror Fiction in the College Classroom,” is the lead chapter in Horror Literature and Dark Fantasy, edited by Mark Labrizi. Subtitled Challenging Genres, the just-published study is part of Brill’s Critical Literacy Teaching Series. Dr. Brock-Servais’s chapter establishes the critical apparatus for the section “Horror and the Adolescent.” In addition to this publication, she is currently teaching a Core Curriculum pilot class on Gothic literature that includes Poe’s “The Oval Portrait” and “Annabel Lee,” Rossetti’s “Goblin Market,” and Dickens’s A Christmas Carol.